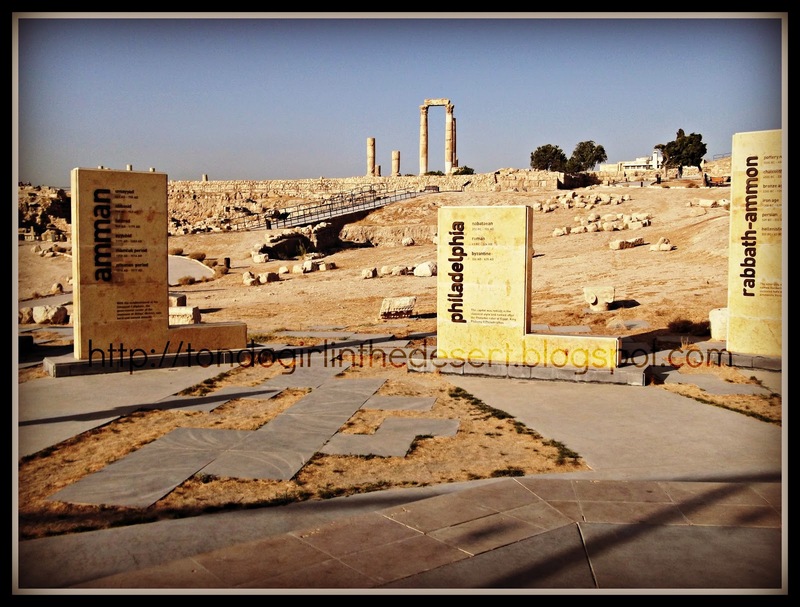 Our second day in Jordan started early. We had breakfast at the hotel at 7am and was at the road at exactly 7.45. Our first stop was the Amman Citadel. 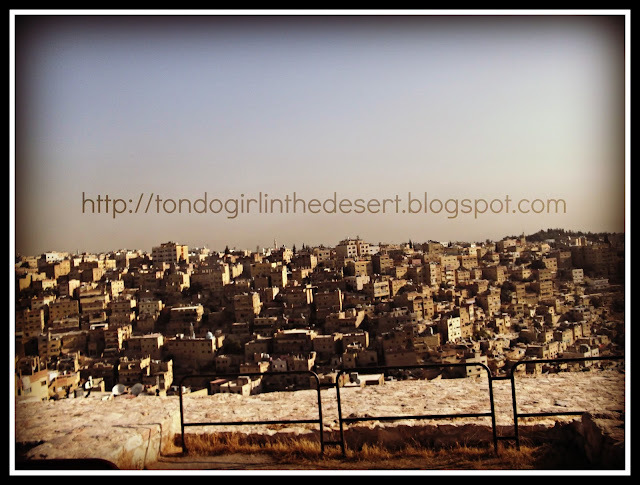 I was in awe when we reached there because I saw the whole Amman. I never expected that I would really fall in love with this place but I did. It has that old civilization vibe, it's like going into a museum. 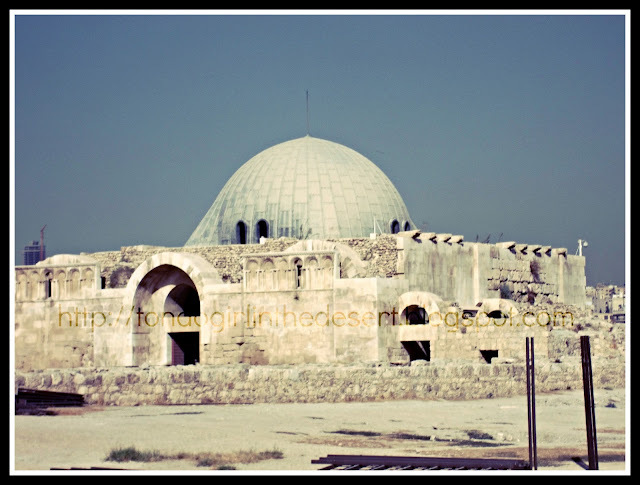 The area known as the Citadel sits on the highest hill in Amman, Jebel al-Qala'a (about 850m above sea level), and is the site of ancient Rabbatn-Ammon. Artifacts dating from the Bronze Age shows that the hill was a fortress and/or agora for thousand years. 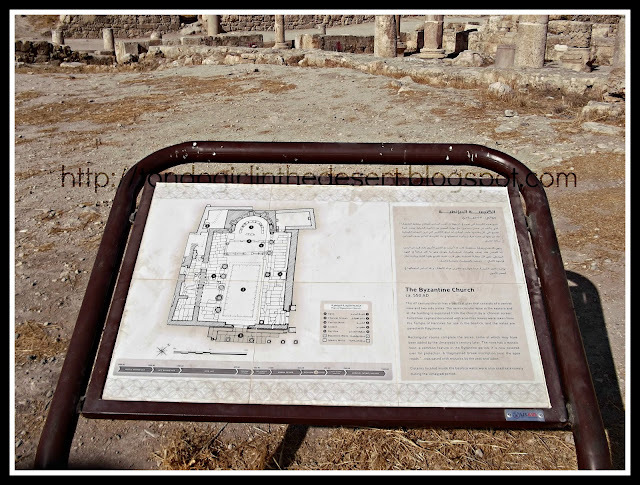 The complex is surrounded by 1700m long walls, which were rebuilt many times during the Bronze and Iron Ages, as well as the Roman Byzantine and Ummayad periods. Hello Amman! It's good to finally see you from up here. Amman is such a gorgeous city that I want to comeback again and explore more. 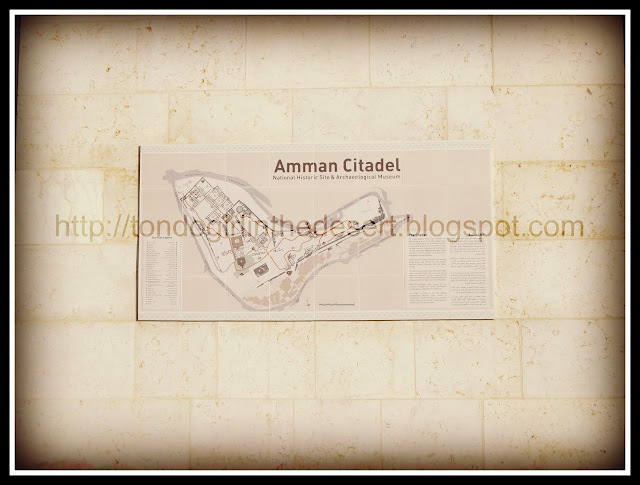 At the entrance you can find the map of Citadel. Entrance fee is 2 JOD and it was all worth it. This will welcome you upon entrance. Look far, can you that structure over there? The Roman Temple of Hercules. Built during the reign of Marcus Aurelius. I could sit here and watch the city for hours and never get bored. It was a fine day when we did our visit that the wind is blowing slowly and the the weather was not as hot as what we had expected. From afar, the most pictured structure in Citadel. 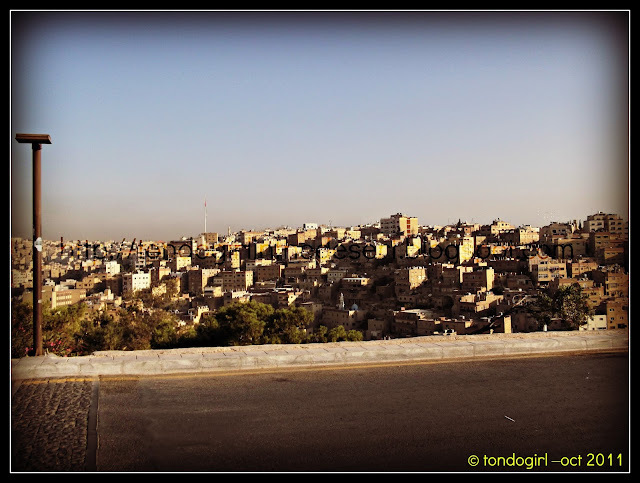 Amman City - taken during traffic. This was when we're on our way to Madaba. 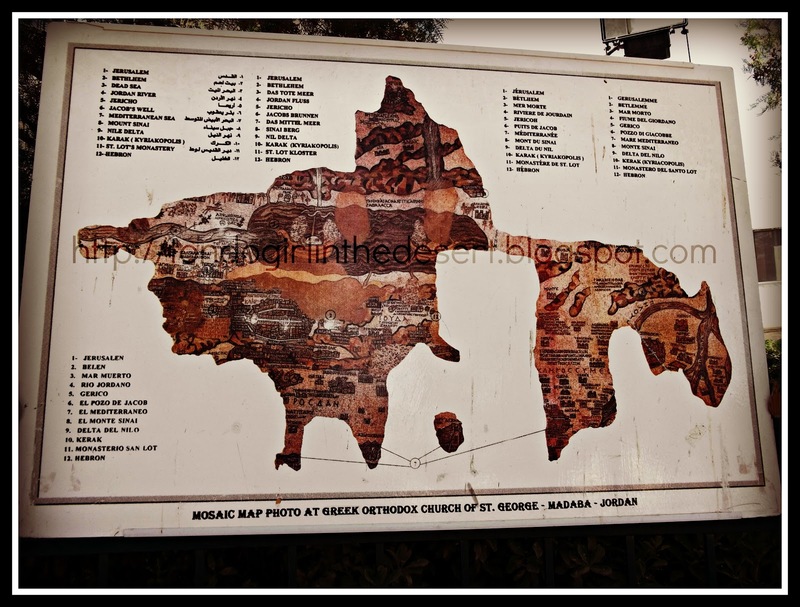 The Madaba Mosaic Map is an index map of the region dating from 6th century preserved in the floor of the Greek Orthodx Basilica of Saint George. 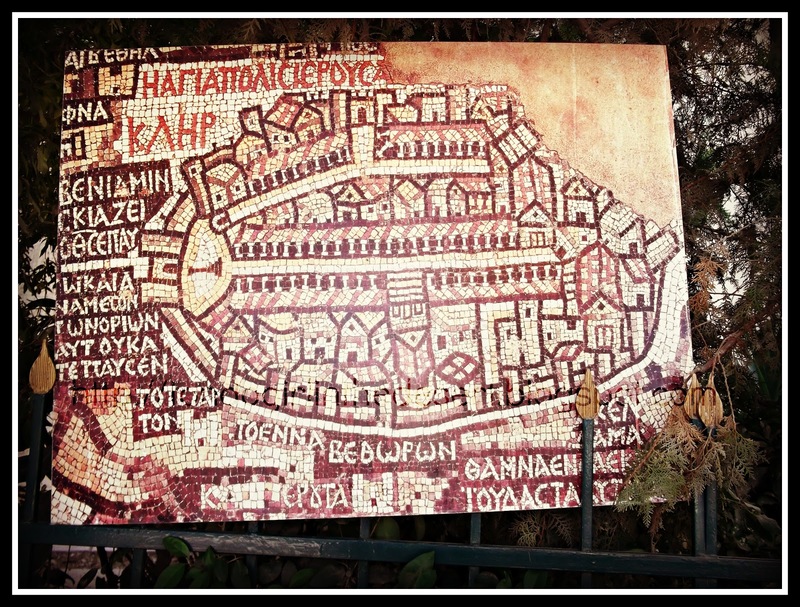 With two million pieces of colored stone, the map depicts hills and valleys, villages and town in Palestine and the Nile Delta. The mosaic contains the earliest extant representation of Byzantine Jerusalem, labeled the "Holy City." 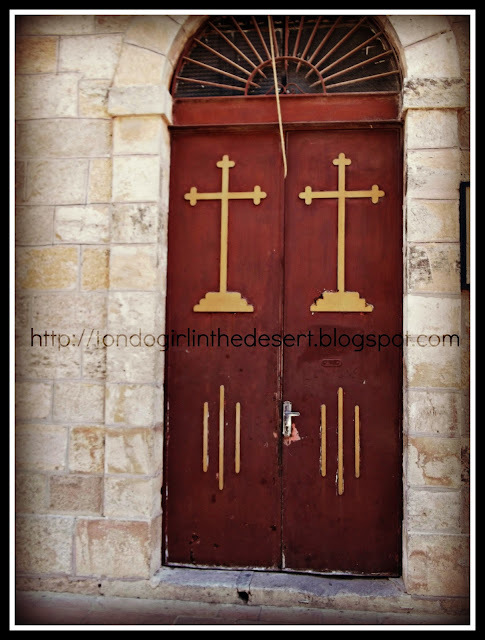 I was not able to take the actual photo inside the church as we were running out of time. 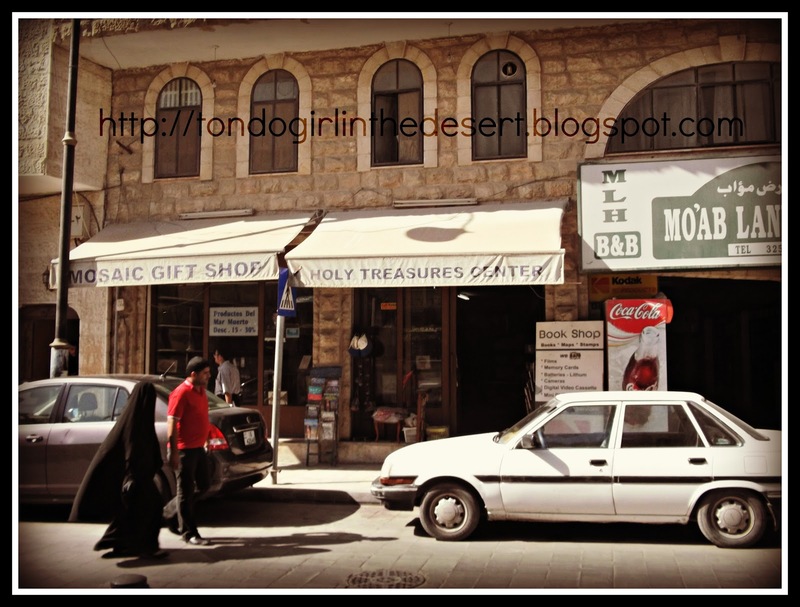 Outside, you can find a lot of souvenir shops that sells different items from Jordan and Dead sea. 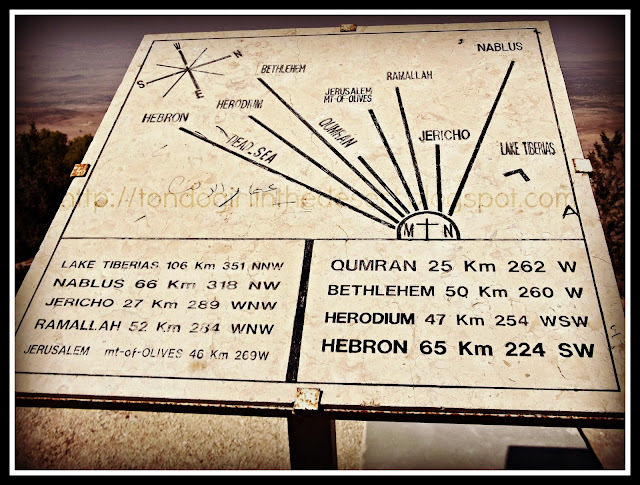 After our Madaba tour, our next destination was at Mount Nebo. Another place that I was really eager to see as I've been hearing a lot of things about this. It was quite a long travel around an hour. I was so sleepy when we arrived that I did not notice that we were there already. Entrance was at 5 JOD. At the entrance. The weather was a bit hot when we reached this place. 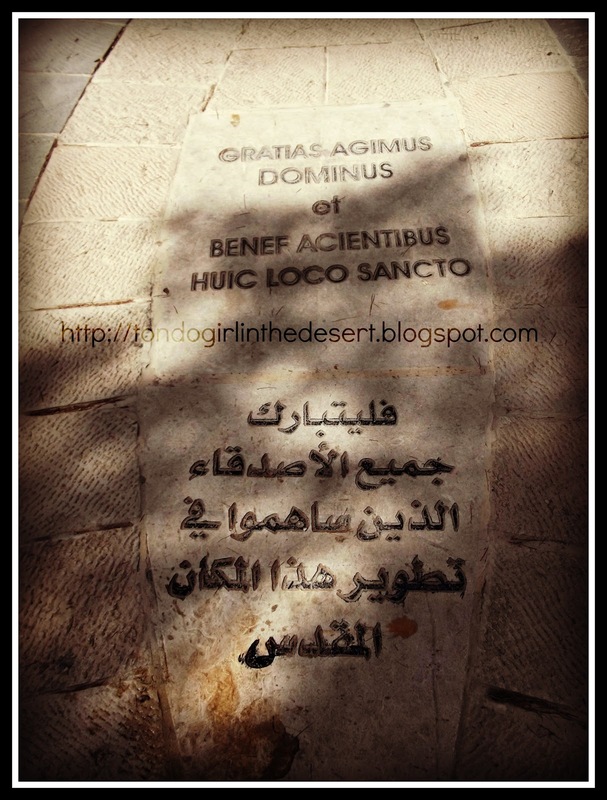 The stone which was dedicated to Moses. Here you can get a peak Jerusalem and other sacred places from a far. According to the Bible: It was here in Mount Nebo where Moses saw the promise land. 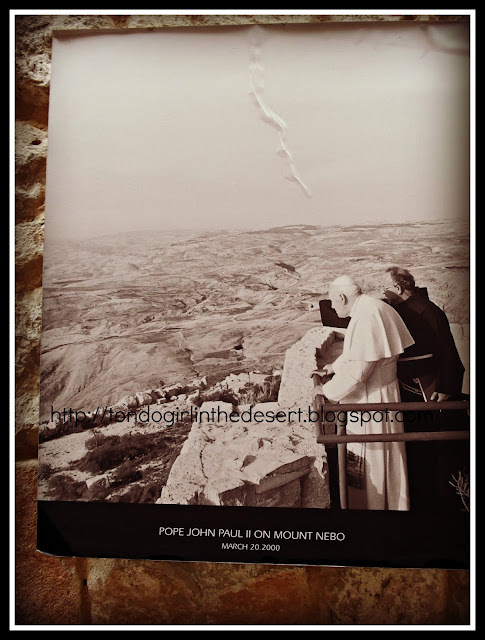 Pope John Paul visited the mountain during his pilgrimage last 2000. The Serpentine Cross Sculpture or the Brazen Serpent Monument. 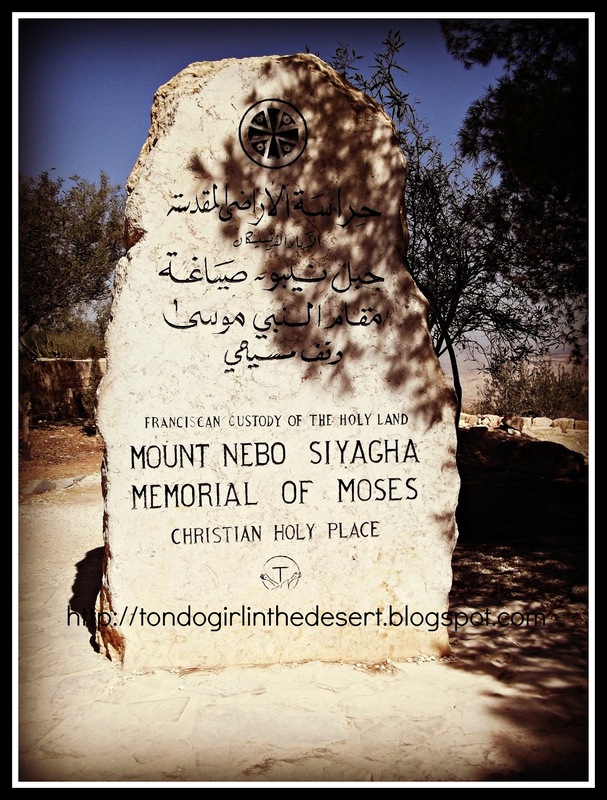 It symbolizes the bronze serpent created by Moses and the cross where Jesus was crucified. Our last stop was at the Dead Sea which is the lowest elevation on earth. The travel was exciting though I was afraid and was praying all the time. The road was crazy, different kind of zigzags. 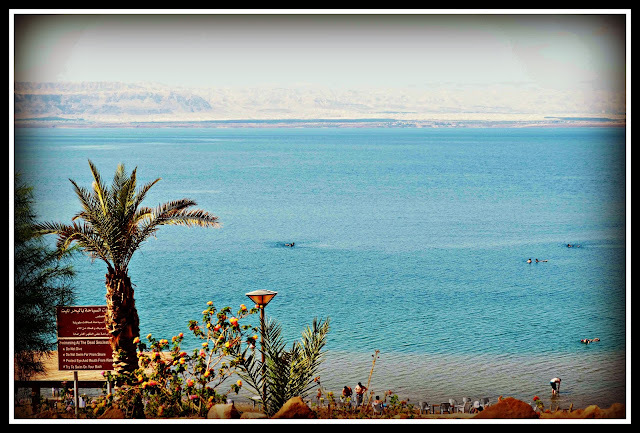 At Dead Sea. The lake with the highest saline and is also called as Salt Sea. I swear I was floating when I swam and I don't even know how to make my self float. So fun and yet a bit dangerous as you cannot let the salt water go through your eyes because you might get blind due to the very high salt content of the water. 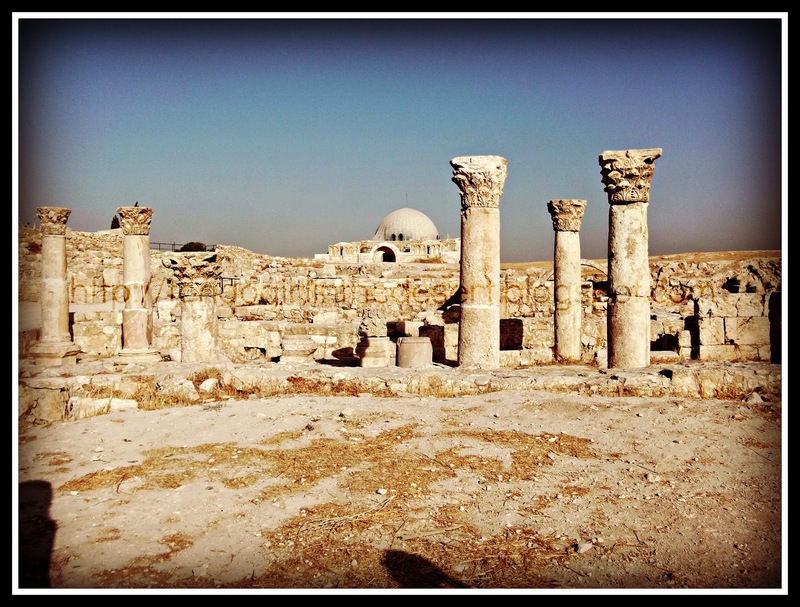 This wrapped up our 3 days - 2 nights experience in Jordan. I would love to come back and check out the Baptism site of Jesus and other sacred places. I'd love to see the type of architecture present in this country and to experience in a way their culture which is very different from ours. Such a lucky lady! 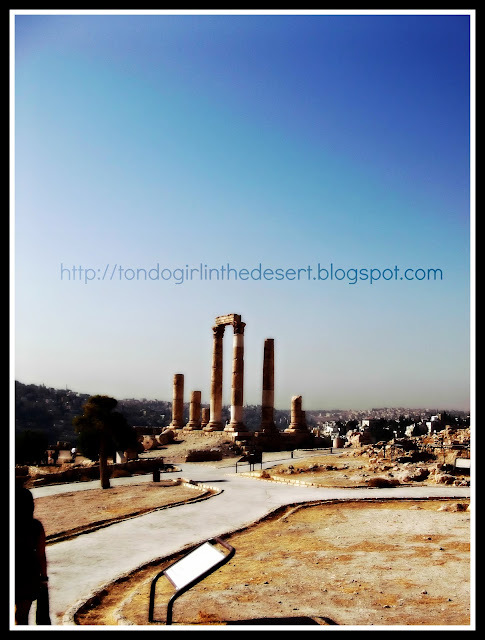 I did fell in love with Jordan, thinking of coming back again next year to explore the Baptism site Jerash and Wadi Rum. You took great photos . I would love to be there too. The ruins and structures are all beautiful. Thanks! 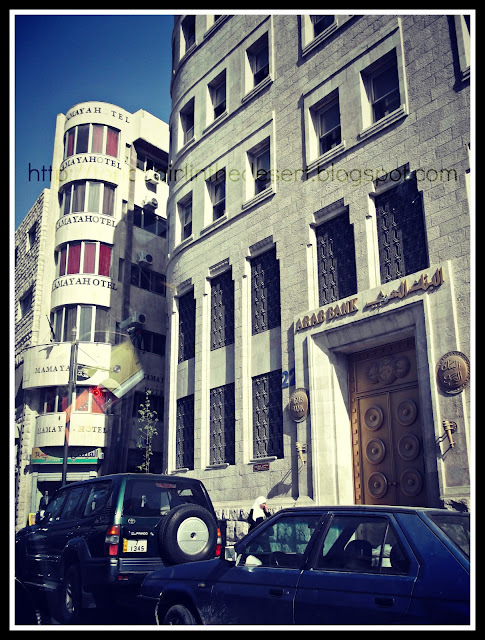 I like the old vibe of Amman. Architecture is great, you'll see a lot of beautiful villas along the way. Wow! 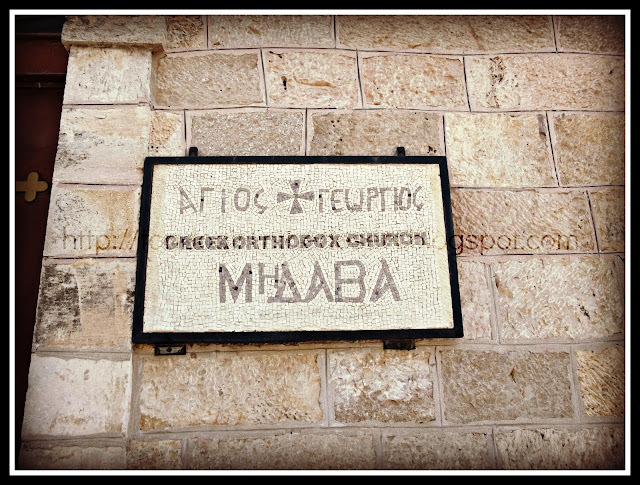 You went to Jordan! Petra is one of the places I want to see. Is it safe to roam in there now? Hi Lady Anne! Of course it is safe to go to Jordan. I can recommend you our tour guide if you want. It is beautiful, like being transported back in time! given the chance to travel abroad, I would also choose here. Hi Michelle, Dead Sea is magnificent. Medyo scary lang yung way going there. 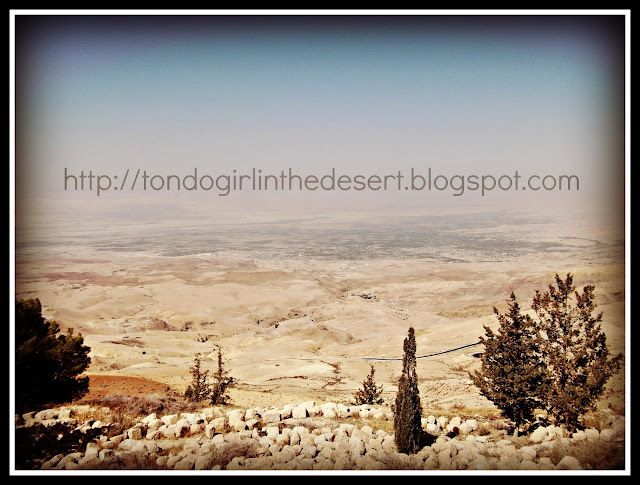 :-)Di ko na napost yung pictures nung daan and yung iba pang shots ng Dead Sea. 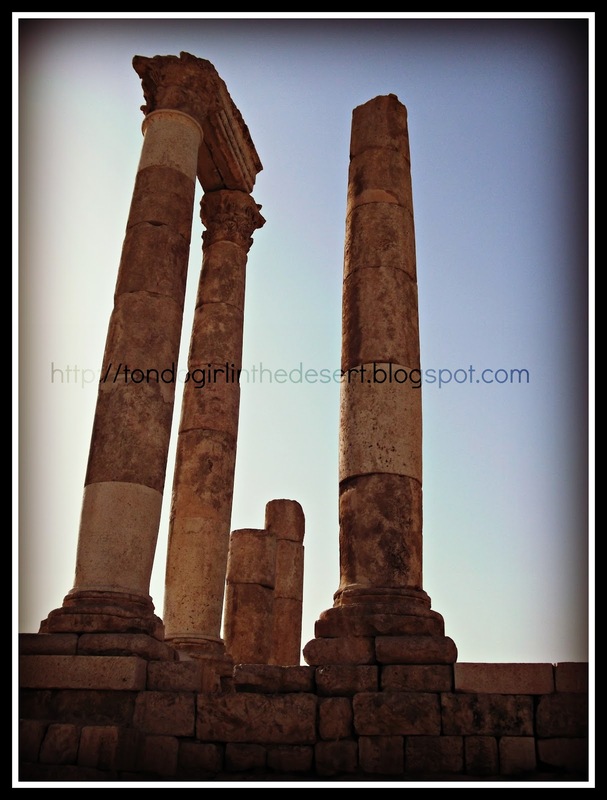 I love your post about Jordan. Very educational. I'm also quite amazed with the pictures. Perfectly captured! Hi Krizza,thanks for the lovely comment. 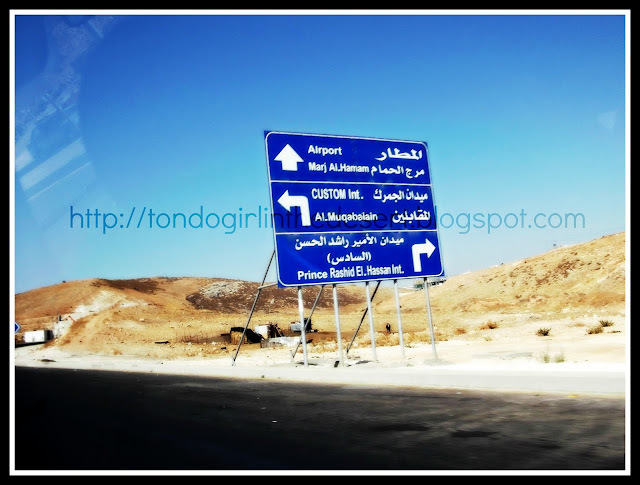 I would love to travel more this coming 2013 and the years to come. Thanks! it's really nice to travel to some countries with very deep connection with ancient civilization. feeling historian din ako. :-) fulfilling talaga sya. Hi Prettymom! of course you will float. hihihi. the only thing is you need to be very careful sa tubig. sobrang alat and delikado sa mata. 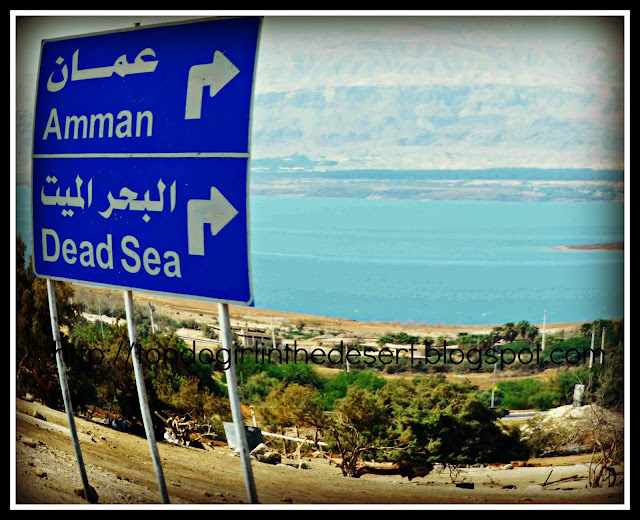 id love to swim in the dead sea too! It's always amusing to see old structures with such history. 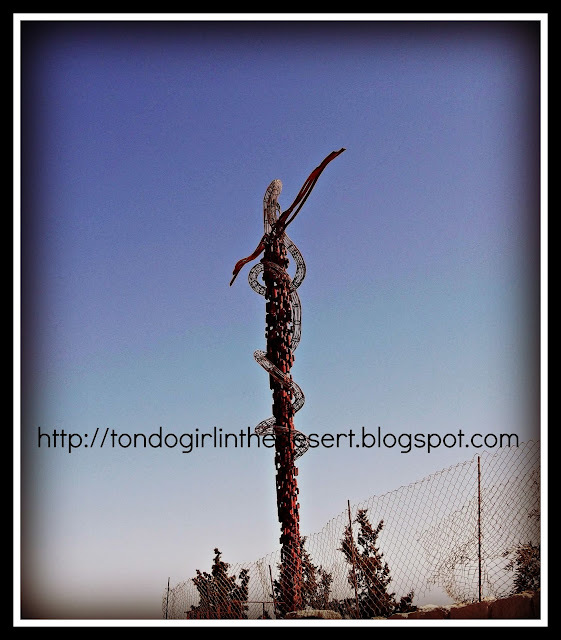 So how about the weather in Jordan, was it hot? Jordan is an amazing place to visit. This is the first time I've seen the Dead sea in pictures. I do hope you come back to see more. Insha Allah. I would definitely come back in Jordan maybe next year. :-). Wow! Jordan is second in my list of the places I wanted to go to before i die. Seeing your pictures makes me wanna go there now. I'd probably get easily lost in those buildings, so yes, I would rather watch from afar if I don't have a guide hehehe. I love photos like these. It gives me some peace of mind. And from the look parang the living there is so simple, am I right?